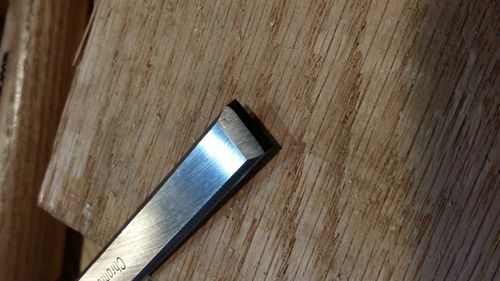 If you follow Paul Sellers blogs or videos at all, you’ve heard him mention that discount grocery store chain Aldi carries chisels from time to time – and in his opinion they are quite good. Unfortunately these have not been made available in North America. That is until a few months ago. They are metric. Not a big deal when it comes to chisels in my opinion. I was pleasantly surprised here. First a word of caution. 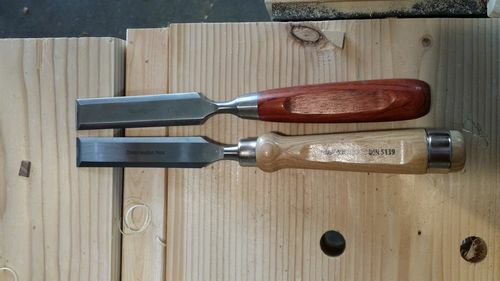 Most chisels need to be honed before use, but these are perhaps the dullest chisels I have used right out of the package. If you don’t have a way to sharpen, don’t expect to use these. I had budgeted some serious time and wear and tear on my stones. After all these are 7 dollar a set chisels sold in a grocery store. Come to find out, the backs all had a slight hollow. This made flattening a breeze. From out of the package to surgical sharp was roughly 5 minutes a chisel. I kept looking for a reason to hate on these chisels. I was skeptical from the moment I brought them home. How can a 7 dollar set of CR-V chisels be worth using for anything other than opening paint cans? Well they never let me down. No, these are not PM-V11, they will not hold an edge for 3 months. However edge retention was better than I expected. Because these are CR-V, they are really easy to bring back to the bleeding edge of sharpness. Once they feel the slightest bit dull, drag them over a strop twice and you are good to go. In the few months of use, I have not returned these to a stone since the initial honing. Flexcut gold and some leather is all it has taken to keep these in business. So after these convinced me they were more than glue scrapers, I decided to remove the horrible ash handles and replace them. If you are in an Aldi store and see these, grab them. Thanks for the review, next time I am in my Aldi store I will look for them. The new handles take them to a whole new visual level. Very nice. Nice rehandling job. Surprised they hold a decent edge and the machining isn’t terrible. The blog and his YouTube videos. Paul is a down to earth easy going, patient and clear instructor, and he is an advocate of “the everyman woodworker.” Paul has driven up the Ebay prices by advocating for the older gems in handtools. He was pretty excited to have negotiated with Aldis to have his favorite “inexpensive” quality chisel that he found while shopping at Aldis in England made available in the USA. He did his quality checks and found the chisels sold in England to be what Lumberjoe is describing. 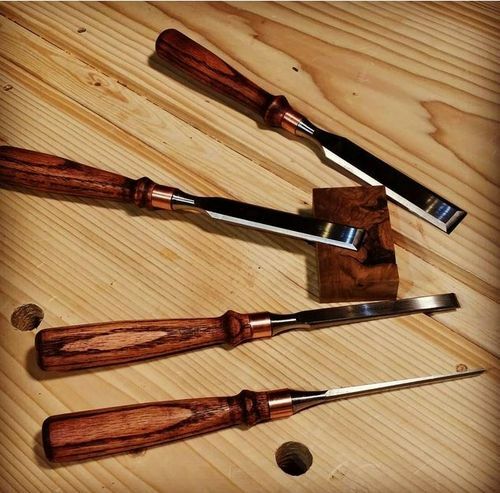 If you check out his blog and you value handtools you will find a thread on these chisels that he convinced Aldis to sell in his second home, the USA. Paul lived and taught in Texas for awhile. Paul is also a Lumberjock but at this time is busy with his woodworking program. Nice detailed review of pros and cons from a lover of handtools? I bought one set to see what they are like. Just my luck! We had an Aldi store not far from us back in TN. Closest one here is almost 2 hours away. So I doubt I’ll be taking advantage of the tools I see mentioned here every once in a while. Paul Sellers would not lie to you about a chisel , to bad there are no Aldi Stores near me . What about this HF Set , It looks close to the same but made in China. I have a similar set as well. I’ve been a Habor Frieght buyer for many years. 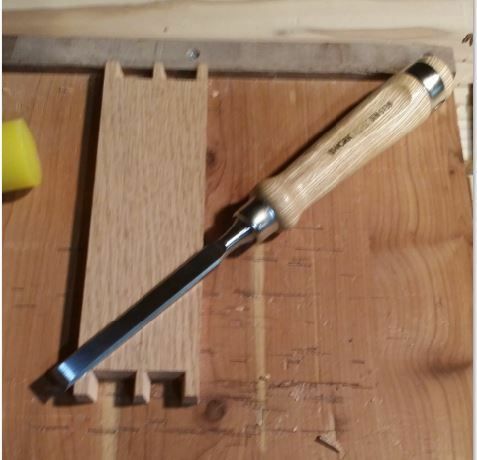 The chisels at Aldis are Chrome Vanadium Steel as Noted in in this great review. Grizzly is selling Chrome V chisels at reasonable price last time I looked. If you can validate CR V steel you might have an ok set. You can check out Pauls blog on this if you like. This is the You Tube video on the chisels. Disclaimer: I’m just a fan of this great teacher. The chisels at aldis are Chrome Vandium Steel as Noted in in this great review. Grizzly is selling Chrome V chisels at reasonable price last time I looked. My disclaimer: I just think Paul is a great teacher, your opinions may vary. 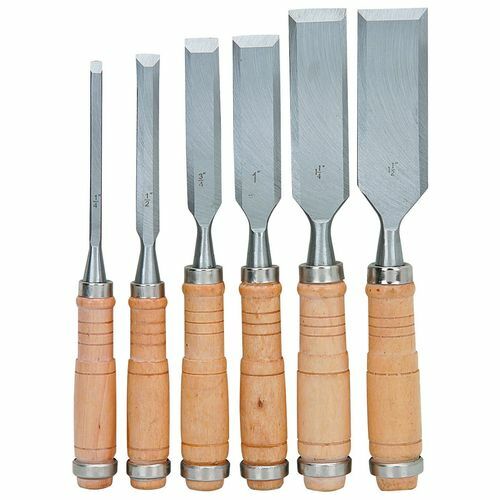 I have the same chisels and they work great. Mine came reasonably sharpened out of the package. 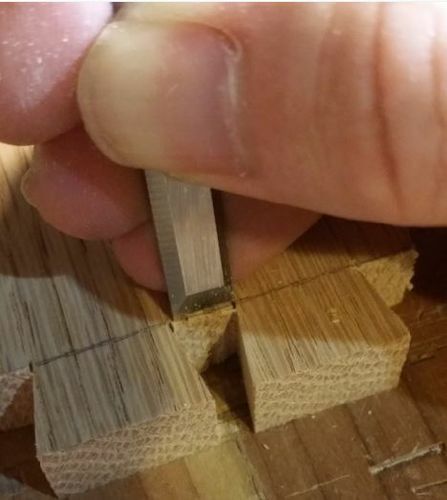 A note of caution: Some of the chisels had the grain in the handle going in crocked directions to an extent that it looked loke a failure waiting to happen. Just leafed through the pile and picked the straightest ones. I have a similar set as well. I ve been a Habor Frieght buyer for many years. Yea I shop at HF some times but I try to be very careful of what I get. I have seen all of Paul’s Videos and read most of his Blog as well , If I could afford a Trip to the UK I would take one of his classes , if he could put up with a hand tool Dummy like me. 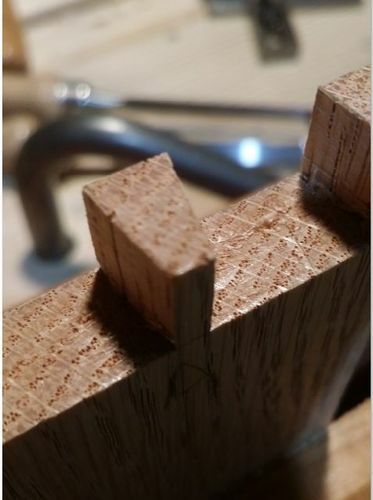 I have seen all of Paul s Videos and read most of his Blog as well , If I could afford a Trip to the UK I would take one of his classes , if he could put up with a hand tool Dummy like me. Good review. HF has a set for about the same price. I bought them for times when I don’t want to damage my better set. The handles are an abomination but after I sharpened them I was surprised at how well they performed. The steel is soft so you can flatten and sharpen them very fast but you will have to hone more often if you use them a lot. I don’t use them a lot but for under $10 I’m glad I have them when I need them. Great review. There’s an Aldi not far from me. Never had a reason to stop in until now.